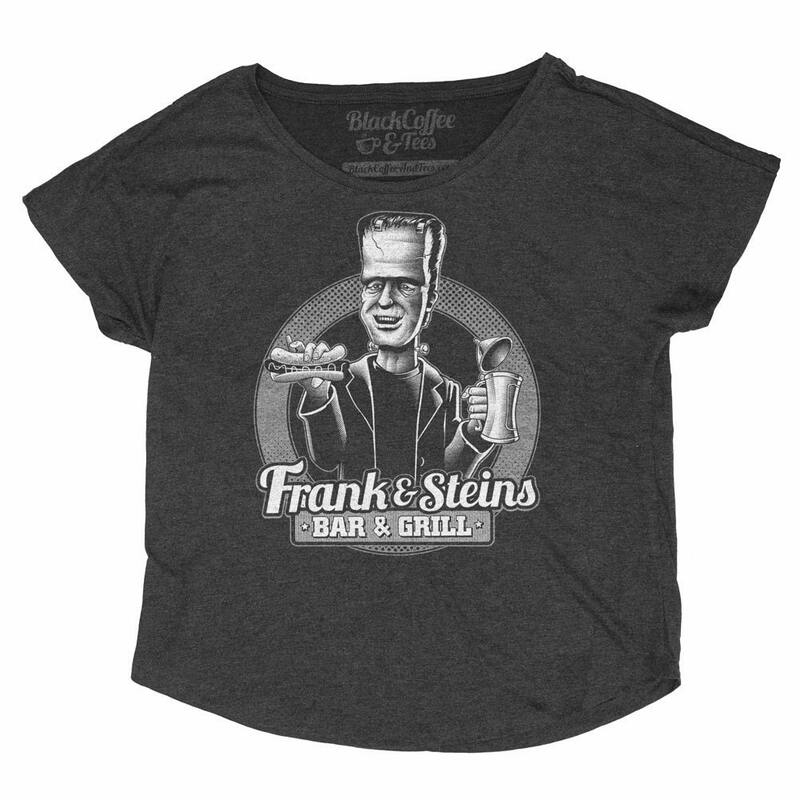 Women's Frankenstein Shirt. 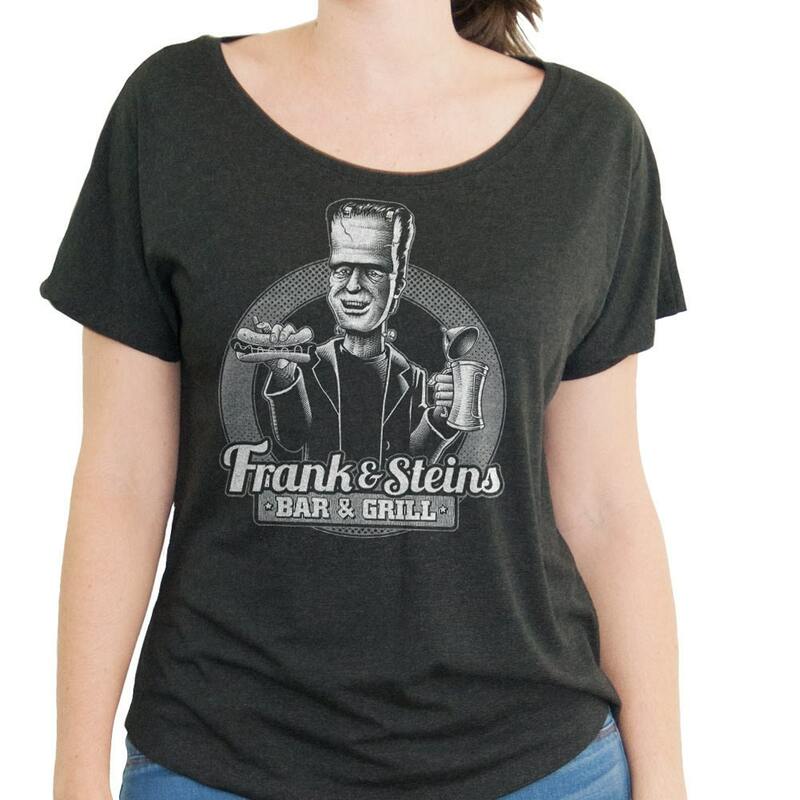 Frank and Steins Bar and Grill Hand Screen Printed on a Fashion Loose Fit Dolman. 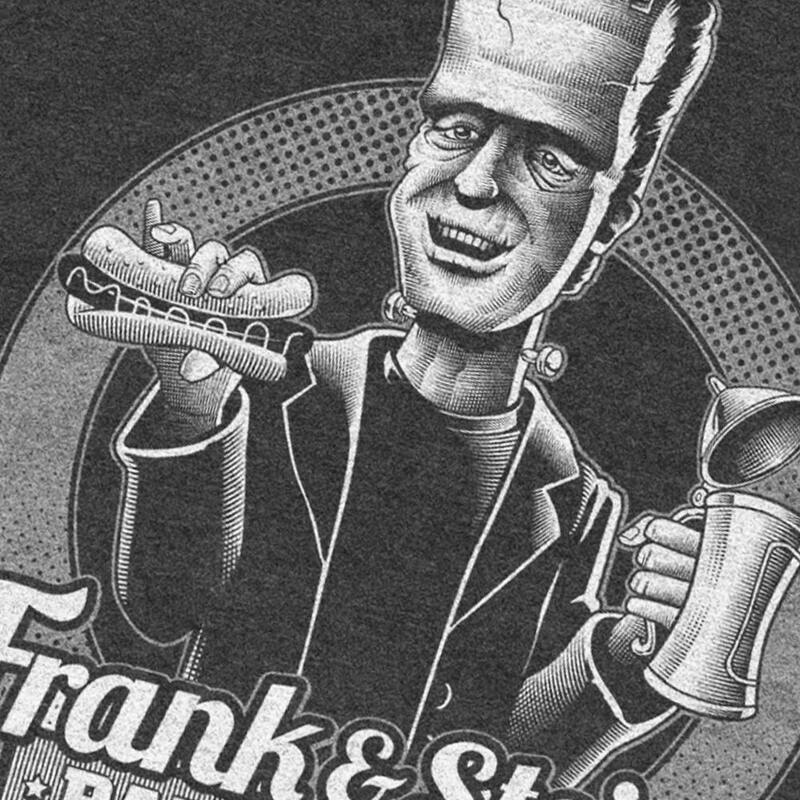 So comfortable and Funny!